designed specifically for the poultry industry. 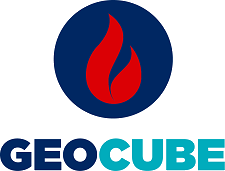 GeoCube – providing controlled, energy efficient heating and cooling to poultry houses. Utilising energy stored in the ground or from surface water (lakes or rivers), GeoCube heat pump systems provide sustainable heating and cooling – all year round. Generating up to four times the heat output for every unit of electricity input, our commercial heat pumps are extremely energy efficient and enable your site to benefit from lower energy bills and reduced carbon emissions. Ground source heat pump systems have been used to provide sustainable energy to homes and commercial buildings for over 60 years, but have only recently been recognised as one of the most efficient ways to heat and cool poultry sheds. With the technology qualifying under the Government’s Renewable Heat Incentive (RHI) scheme, they also offer an attractive return on investment of around 4-5 years. GeoCube will deliver a superior level of controlled heating and cooling throughout your shed, compared to conventional systems. By using a more constant, lower grade heat, the air temperature is less volatile and more evenly spread throughout the building, helping reduce levels of moisture, improve the internal environment and ultimately increase productivity. Our GeoCube commercial ground source heat pump systems offer a wide range of commercial and bird welfare benefits.